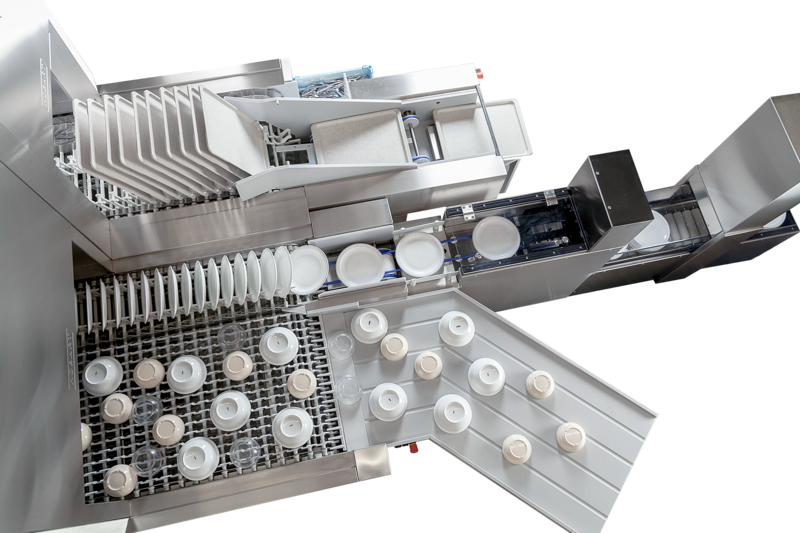 The patented and worldwide unique autoLINE dishwashing organising system makes it possible to wash trays and cutlery simultaneously with the other wash ware on a separate conveyor track. Additional benefit: automatic tray feeding in the entry and stacking in the exit section. 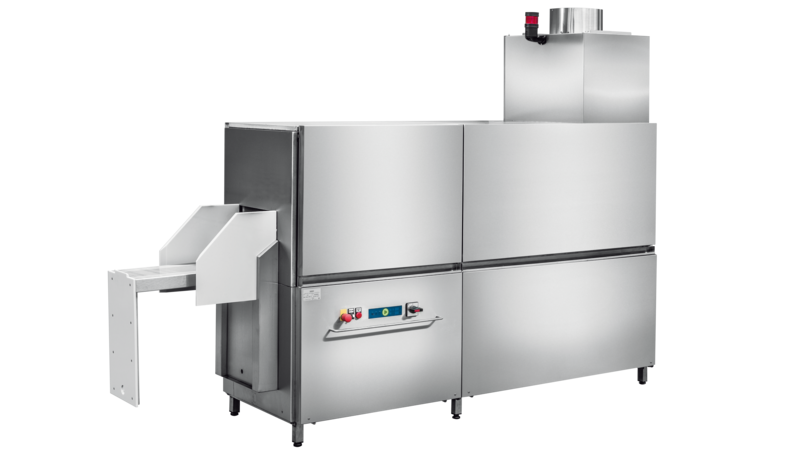 Semi-automatic wash systems consist of two flight-type dishwashers. They are characterized by the automatic mechanical handling of trays and cutlery in one machine, whilst at the same time all other wash ware is treated in a separate machine. 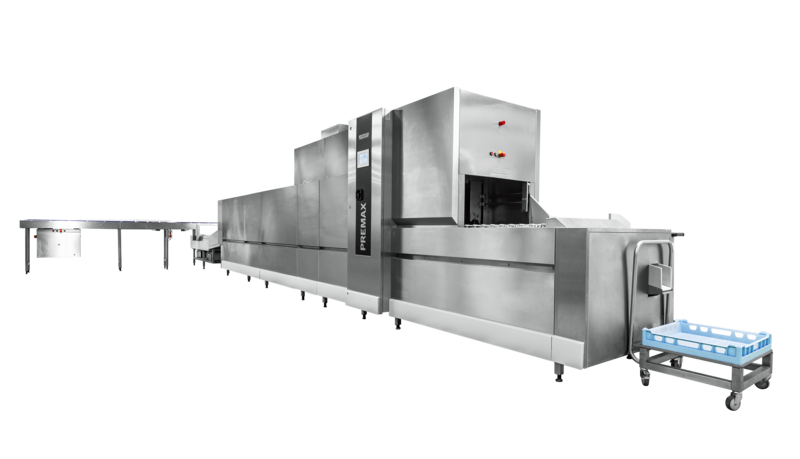 Automatic wash systems do not require any personnel at the dirty side for loading wash ware into the flight-type dishwashers and there is also a wide range of automated solutions for the clean side. 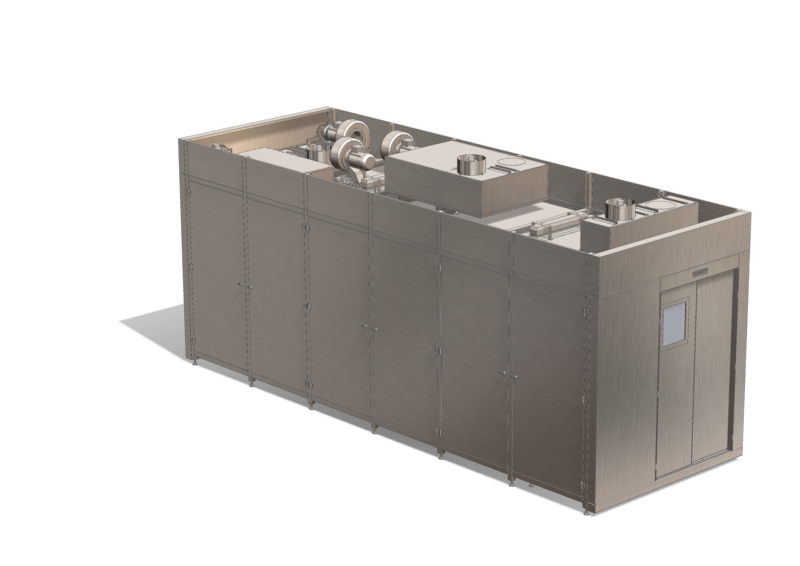 Single-chamber cart washer and multi-chamber wash systems. 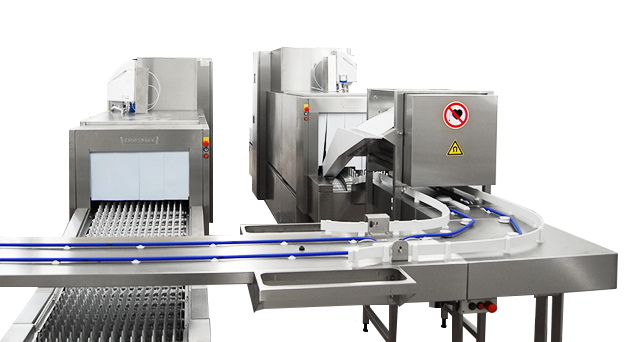 The flight-type tray washer FTT is the reliable partner for washing trays. It is the best solution to rationalise with good economic sense in your kitchen. The SMARTRONIC single-button control guarantees a simple and fast operation of the machine.